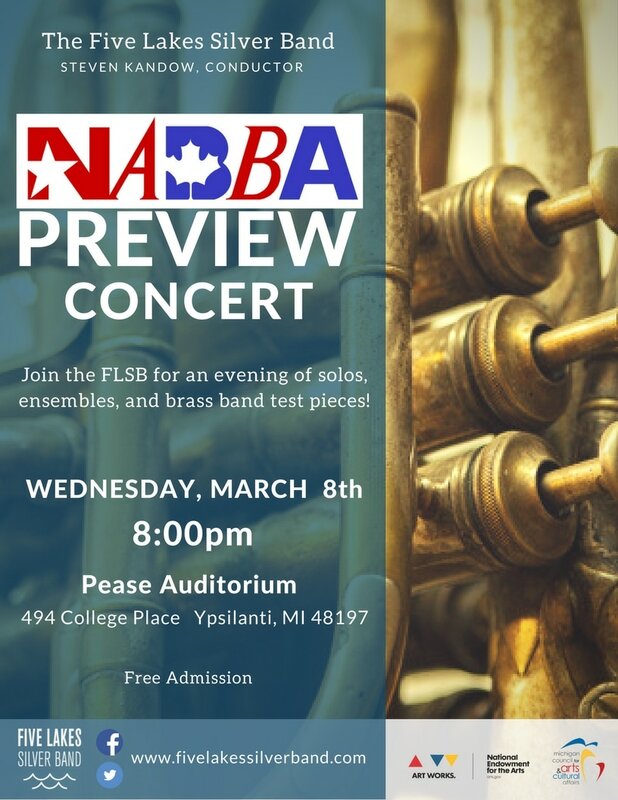 Join us at the historic Pease Auditorium as we feature solos, ensembles, and our NABBA Competition pieces before we head to Fort Wayne, IN to battle with our fellow brass bands! A paid parking lot is available off of College Place, on the North side of the Auditorium. Street parking is also available around the auditorium.